On Monday 25th January, Sleeping Giant Media was pleased to welcome Fashion Buying Retail Management students from UCA for a jam-packed day of talks on SEO, PPC, Google Analytics, blogging and vlogging. 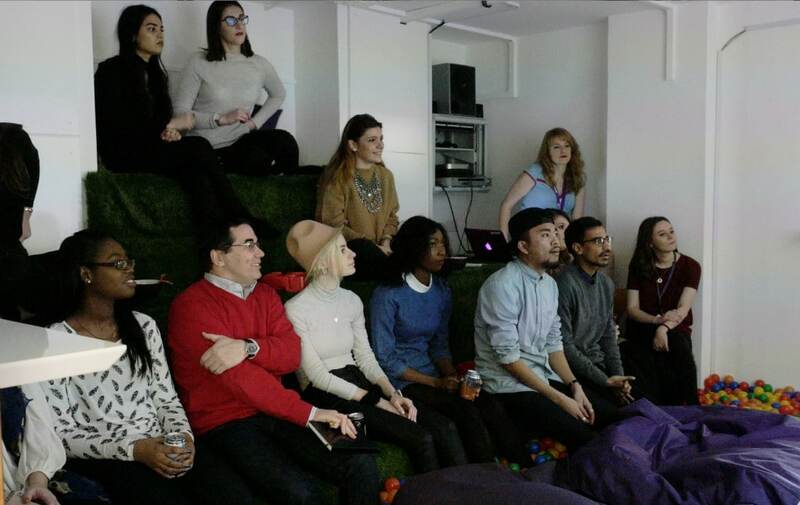 Miguel Martins, Course Leader, joined us with 11 enthusiastic students, who were treated to a day in our ball pit, as they sat down to listen to experts in the field discuss the benefits to these areas of Digital Marketing, and how to approach each one with real world application. The students enjoyed informative presentations by MD Luke, Lizzi, Holly, Kathryn, Michelle, Liz and Rob, where they learned how each of these digital elements are measured, and what the benefits are when using them correctly for business. Guest star Vlogger, Jerusha, also made a special appearance in an exclusive Q&A session with the students over a YouTube video! It was a day full of presentations, activities, sweets, drinks and (of course) pizza! We always strive to make each day informative, as well as fun, and hope the students had as good a day as we did! We enjoyed having you UCA, and look forward to more student days soon!